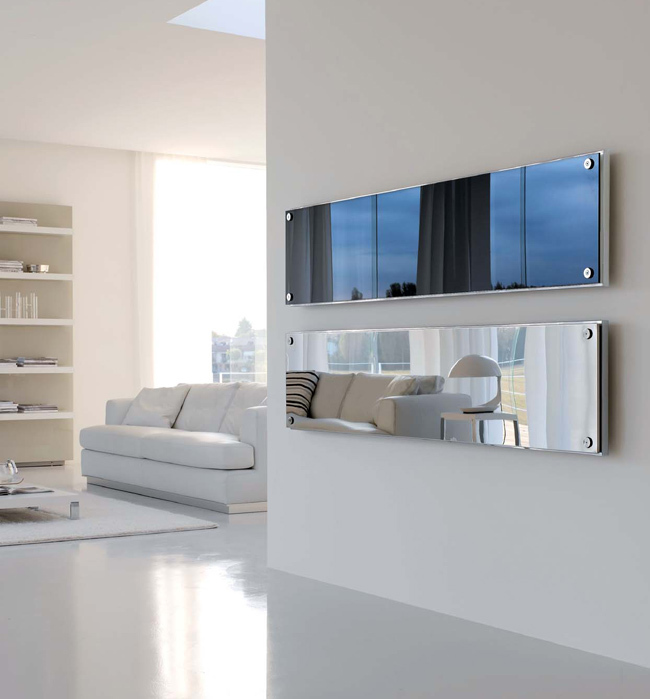 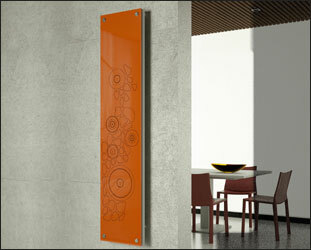 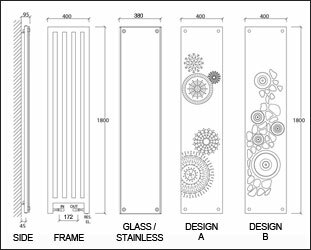 Latest Italian design, this highly modern glass heating radiator is manufactured using toughened safety glass onto a chrome radiator chassis that is designed to give good heat outputs. 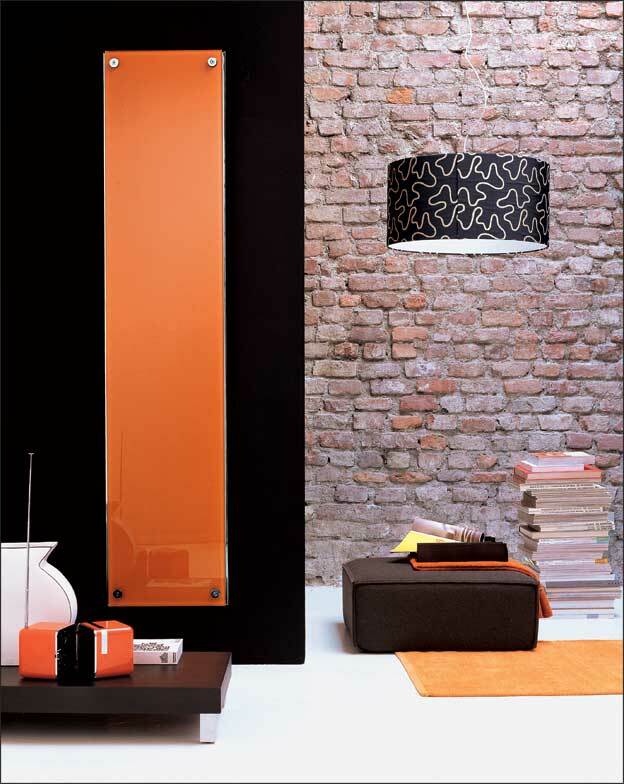 * Central heating, dual fuel or electrical systems. 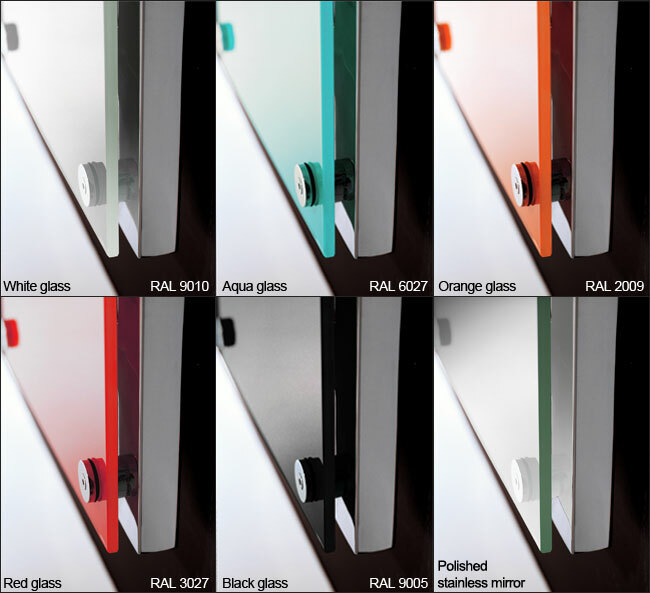 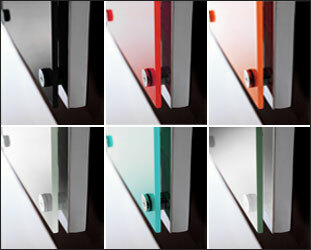 * 5 x coloured glass finishes. 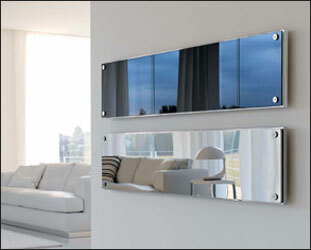 * Polished stainless mirror finish available. 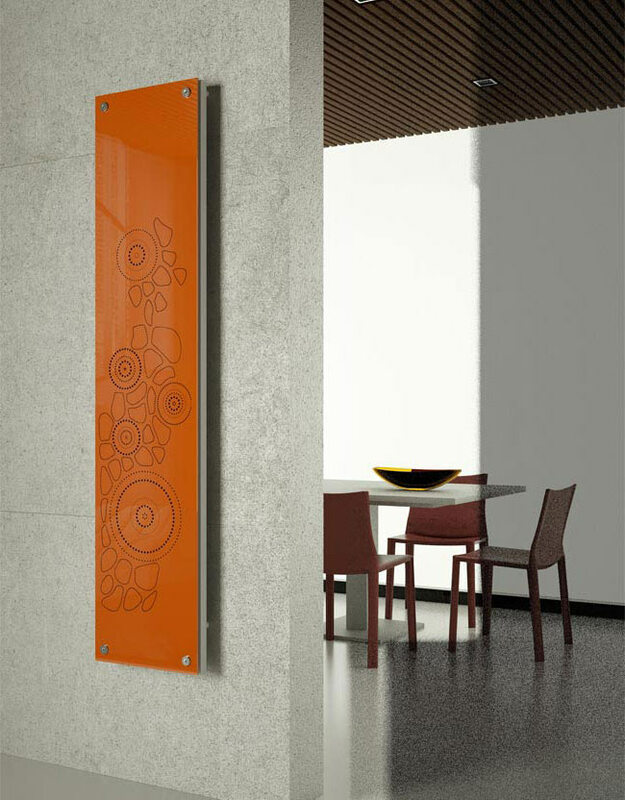 * Design patterns finished in painted steel. 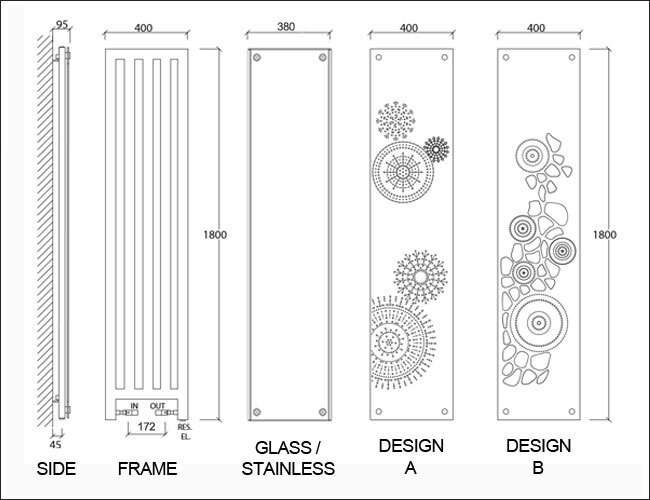 * 2 years on electrical / dual fuel versions.